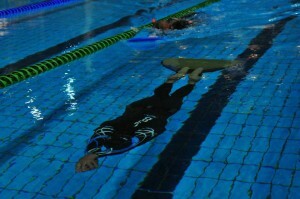 The Australian Freediving Association aims to hold a National Championship for pool disciplines (dynamic apnea with fins, dynamic apnea without fins and static apnea) and a National Championship for depth disciplines (constant weight with fins, constant weight without fins and free immersion) each year. The Australian male and female athletes with the greatest aggregate points at the respective National Championships are crowned the Australian pool and depth champions for that year. The 2017 Depth National Championship will be held from the 2-5 October in Tulamben, Bali, Indonesia. The 2017 Australian Pool National Championship was held in Brisbane, Queensland. Below is a list of past National Championships. See our Hall of Fame for a list of past National Champions.